You already know that the best restaurant digital marketing strategies start with a mobile-friendly website and working to get more positive reviews as well as owning your listings on Google, Bing and Yelp. But that’s not the end of it. Your restaurant needs a comprehensive digital marketing strategy that helps you get ahead of the competition. Here are your top three digital marketing tips for restaurants. Stop using a PDF menu. Using downloadable PDF menus can do more harm than good for your restaurant online. Customers need your website to be fast and easy to use. If they have to download and wait for your menu, they may just move on to the next restaurant. 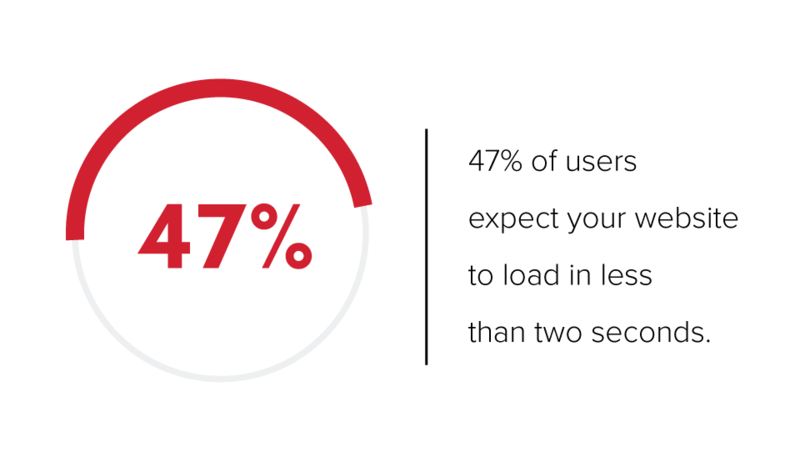 One study found that 47 percent of users expect your website to load in less than two seconds. If it takes longer than that, they’ll leave. PDF menus are bad for SEO, too. Search engines can't really read a PDF, which means the content in your PDF menu won't help your search ranking at all. That’s why an HTML menu is the best way to go. Google will be able read the content and show it in search results, and it will load faster for your customers. Editor's note: We created this Q&A playlist of frequently asked restaurant digital marketing questions. Watch the video for more digital marketing tips! Get a social media strategy! I’m sure this isn’t the first time you’ve heard that your restaurant needs a social media strategy. We all know that customers will research your social media profiles when looking for a restaurant online. Besides, now customers can ask for recommendations on Facebook. 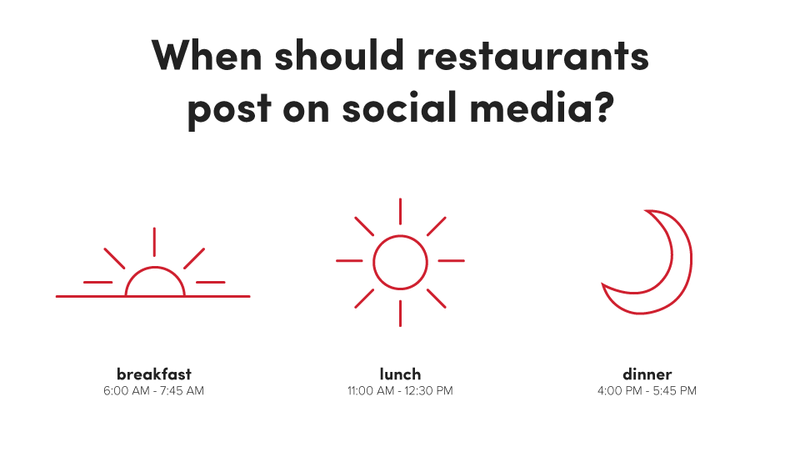 What better way to entice them to grab a bite to eat at your restaurant than to post drool-worthy photos to your Facebook and Instagram profiles? Clients ask all the time about the best times to post to social media. Well, unfortunately, there is no right time for restaurants. Instead, look at your marketing analytics to see what time of the day you reach most of your audience. Facebook, Instagram and Twitter all have analytics so that you can track the best time to post. Don’t forget to experiment, though, to see what works best for your restaurant! If you really need to have a scheduled time to post your delicious looking photos, try posting right before breakfast, lunch and dinner (6:00 AM – 7:45 AM, 11:00 AM – 12:30 PM and 4:00 PM – 5:45 PM). 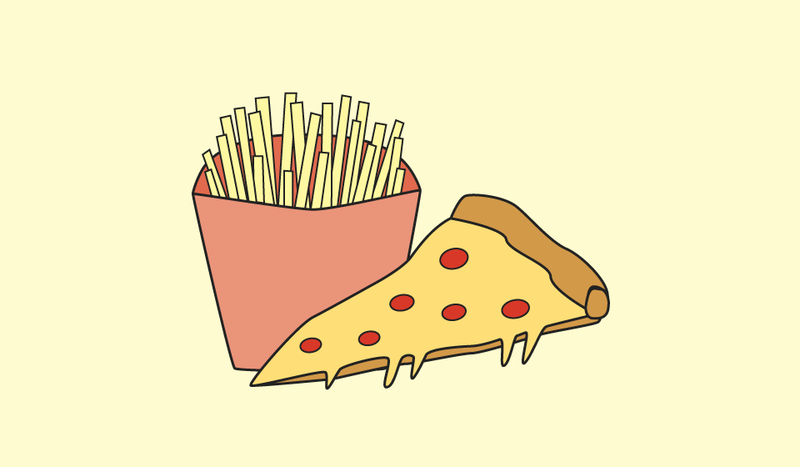 This way you will be sharing food content right when your customers want to eat. And don’t forget to use hashtags (no more than 4, though – otherwise your post will look like spam). Hashtags are a great way to take part in events like national donut day. Some of our restaurant clients have had a lot of success participating in trending hashtags! I believe every restaurant should have a blog. Yes, it is time-consuming, but your blog is your voice, and it brings fresh content to your customers (and search engines, since they love fresh content). 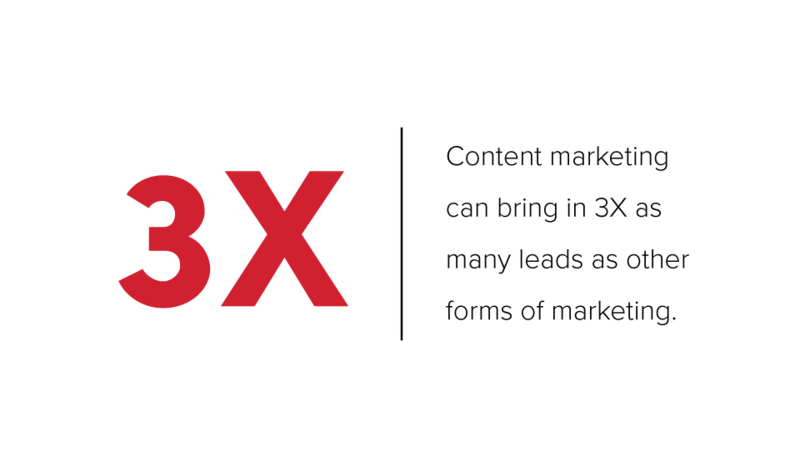 Besides, content marketing can bring in three times as many leads as other forms of marketing! This lets new and returning customers know what is going on with your business. You can share your journey to success, write about a promotion, announce any big change in the restaurant, hold a fun contest and more! And if you want to get a little technical, make sure to throw in some keywords in your blog posts. This will help search engines understand what your blog post is about and help you rank for relevant searches. Ready to get started building a better restaurant marketing strategy? Check out our restaurant marketing services or contact your marketing strategist today!